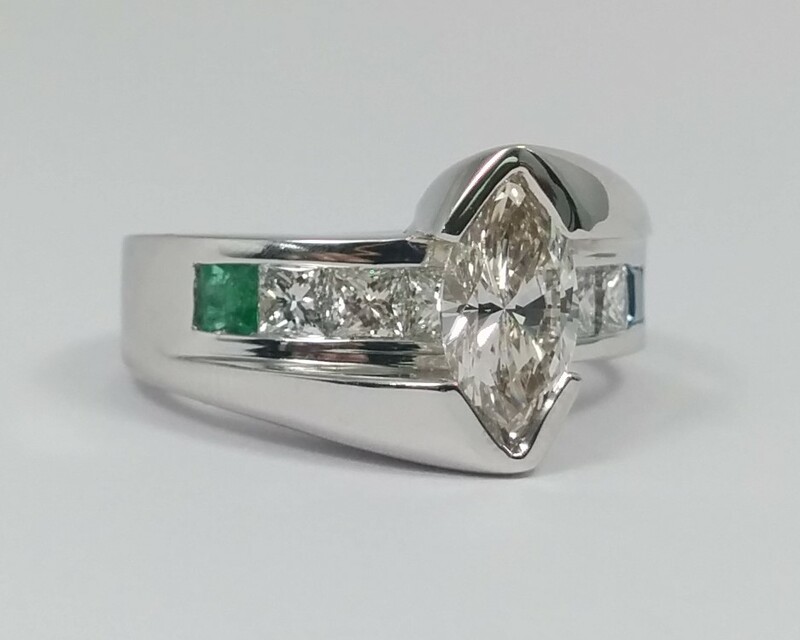 This marquise diamond bridge engagement ring setting features six princess cut diamonds and two gem stones (one on each end) channel set under the bridge in 14 karat white gold. 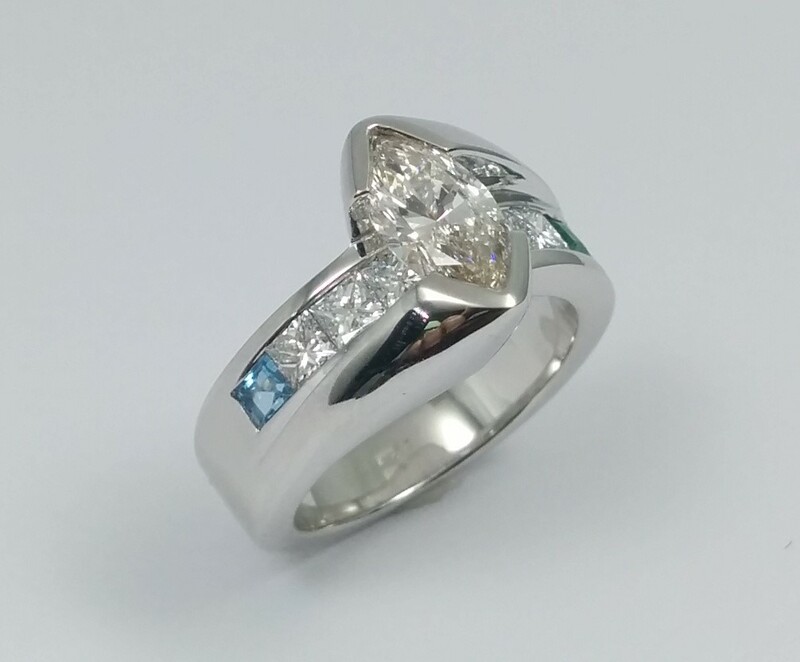 This setting accommodates a marquise diamond of 10x5mm. 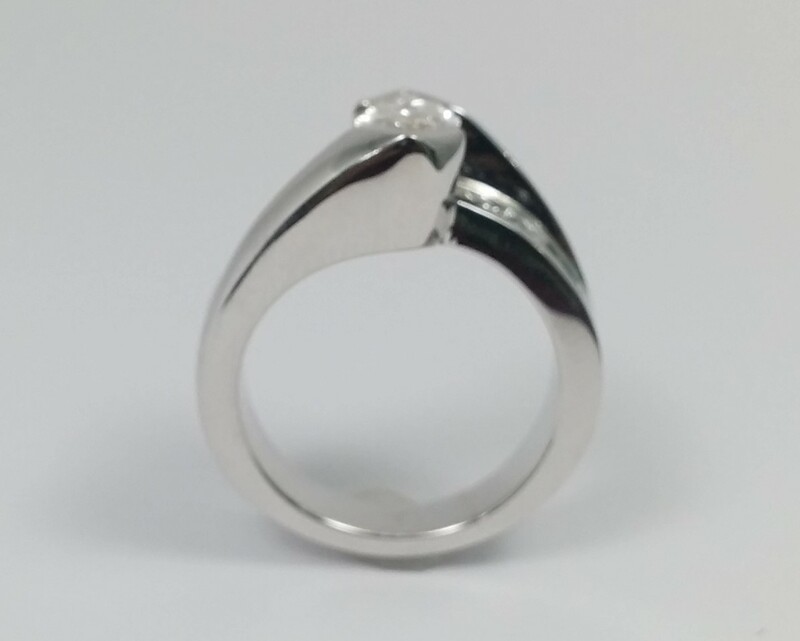 Can be customized for your desired center stone. 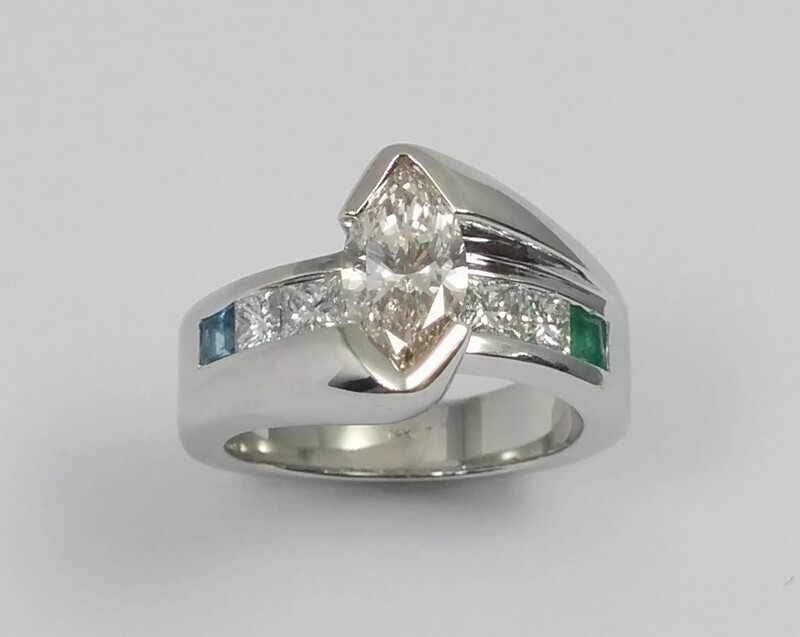 Perfect for adding birthstones in replacement of the current gem stones, call for questions.